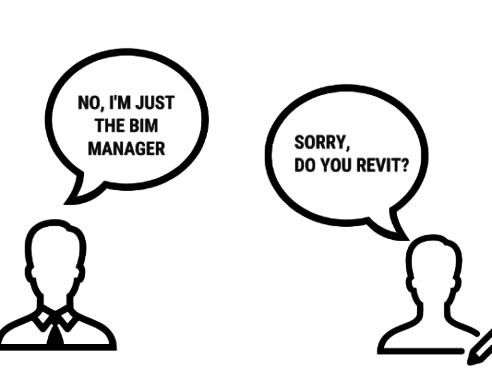 BIM Track makes coordination simple! This week, I got the chance to review BIM Track. It’s an amazing product that can dramatically improve the management of issues and RFIs while you are working in a collaborative BIM Project. The core feature of BIM Track is the improved communication and management of issues and RFIs. It’s an efficient online platform that can replace all emails and spreadsheets that were the most commonly-used strategies used to manage these activities. 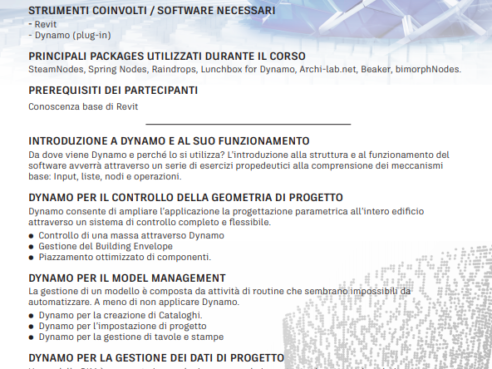 What is my opinion about BIM Track? Most of time, simplicity is better than complexity, and BIM Track provides the right amount of necessary features for coordination without being too complex or difficult to use. This a very important value proposition, since this is not a product to be used only by BIM experts, but also by project managers, designers and subcontractors. Another question could be: Is BIM Track a Common Data Environment? The short answer is no. The long one is: even if you can use it to exchange IFC files, it isn’t designed as a CDE. It’s advisable to run BIM Track together with your favorite CDE. Let’s take a look at how the product works. 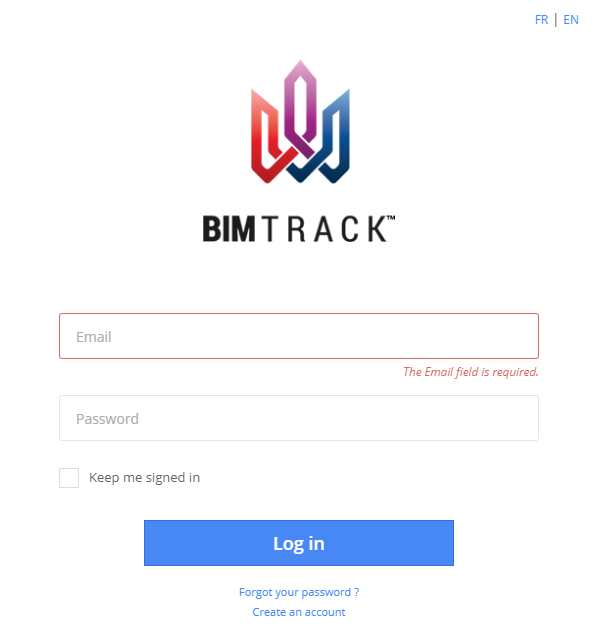 BIM Track’s core feature is an online platform that you can access from any browser, that is called the web platform, or more commonly, the Hub. In order to connect the online platform to the software we use every day, you can download, directly from the platform, 3 add-ins for the following software programs: Revit, Navisworks and Tekla Structures. 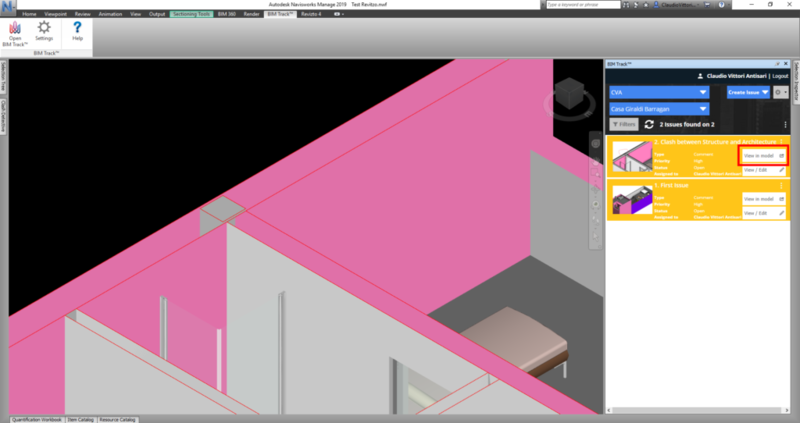 To start working with BIM Track’s web platform, the first action is to upload your series of models to the Hub. 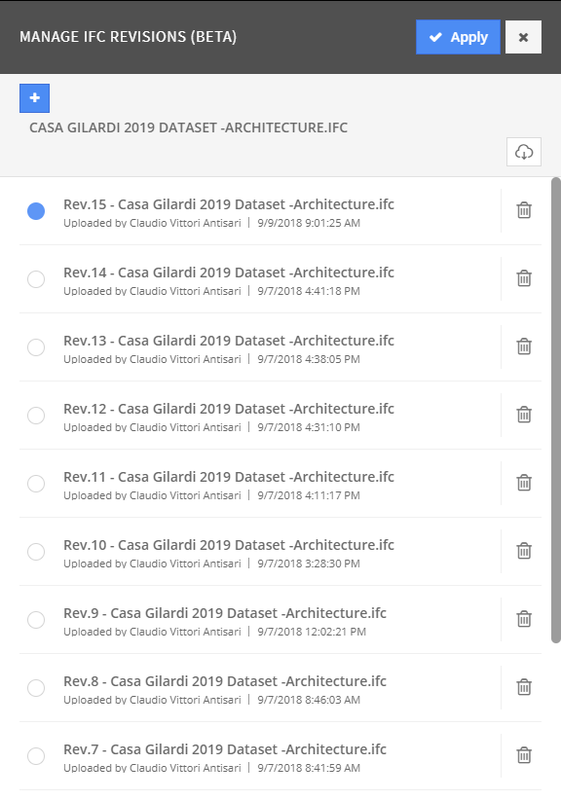 Upload is possible directly from the Hub and uses the IFC file format or, if you have the upcoming premium version, you can do it directly from Revit, using this tab. The tab is similar to the standard tab to export to IFC and provides the same set of options about protocols and other features. 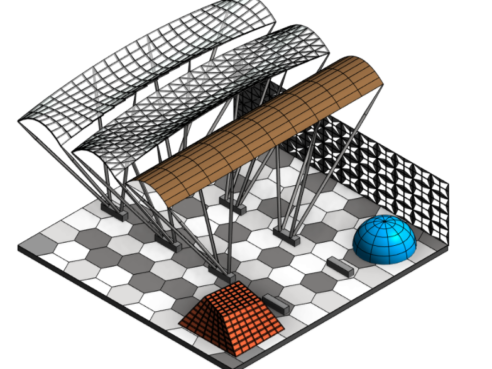 It is possible to export a model, choosing a 3D view as a reference. The export can be a project update if there is already a model uploaded in the Hub. Is not possible to upload a model from Navisworks, which can be used only for raising, tracking and resolving issues. If you don’t want to manually upload your models on the web, you will love the upcoming premium feature that allows to schedule an upload at fixed or recurring time. In the web platform or hub, you can visualize the models online you just uploaded. 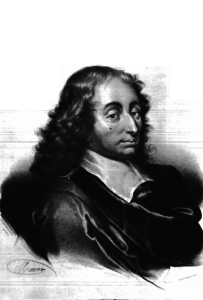 The web viewer has all the necessary tools to easily evaluate and explore models and data on the web. It allows users that aren’t proficient with Revit and Navisworks to navigate the project; and navigation in BIM Track is easy and intuitive. It can also be used by power users to visualize large models without using powerful machines. Turn the visualization of different models on and off. Navigate in the models and check the information related to the objects. Use 3 different strategies for sectioning the model. Filter the model elements by category. Visualize the rooms and the spaces in the model. BIM Track presents itself as: “…simplifying BIM coordination communications on building and infrastructure projects by centralizing project communications.” The issue management tab is the core feature of BIM Track. What’s the purpose of this feature? Let’s say for instance that you are working on a collaborative project with many consultants involved in different areas of the world. At some point you spot a problem, something like a duct is clashing against a ceiling or a misplaced structural column. How do you communicate the problem to the relevant parties? You can take a screenshot of it, and email it to the person in charge of that area. In order to be clever you will also report the issue into a spreadsheet in order to remember it, be able to track it, and update it during coordination meetings. This strategy can work well if you are only dealing with a few issues but it can easily become a nightmare if you are managing hundreds of issues and RFIs. This can easily happen even when you are working on a medium-size project. BIM Track will improve your efficiency and effectiveness sharing this type of information. Creation, tracking and management of RFIs and issues, will become more efficient. Let’s see a couple of examples. 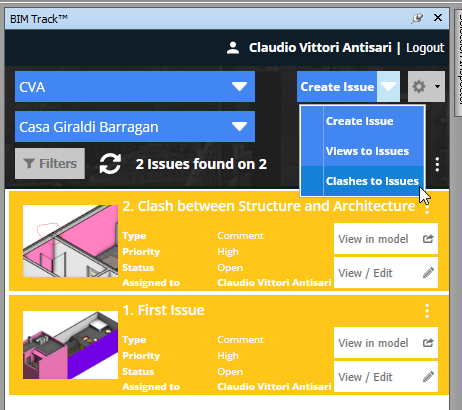 From Revit you can create an issue starting from a view through the BIM Track tab. After clicking on the Create Issues button you have to fill out all the required information about priority, responsibility, due date, type, label. The issue will become a post on the hub as soon you will publish on the web. At this point will be accessible to all the persons you defined as relevant for that issue, whether they are using the web viewer or working primarily in Revit, Navisworks or Tekla Structures. The issue management tab has nice graphics and is easy to use. It works as a control room where is possible to have a quick view of what is going on in the project, including metrics and reporting (more on that later). 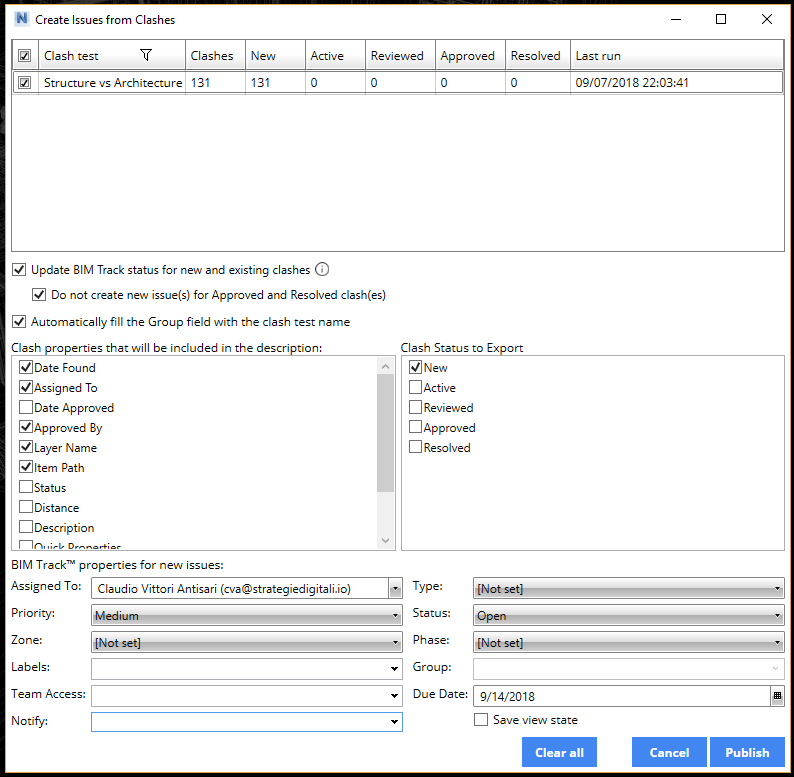 Once the issue is created, you can use BIM Track to find the right location in any other software that is connected to BIM Track. If you switch to Navisworks, finding the same issue location requires just a click of the button “View in model”. After finding the issue in Navisworks, you can update it and the information is automatically updated across the platform. BIM Track is able to keep track of all the updates. 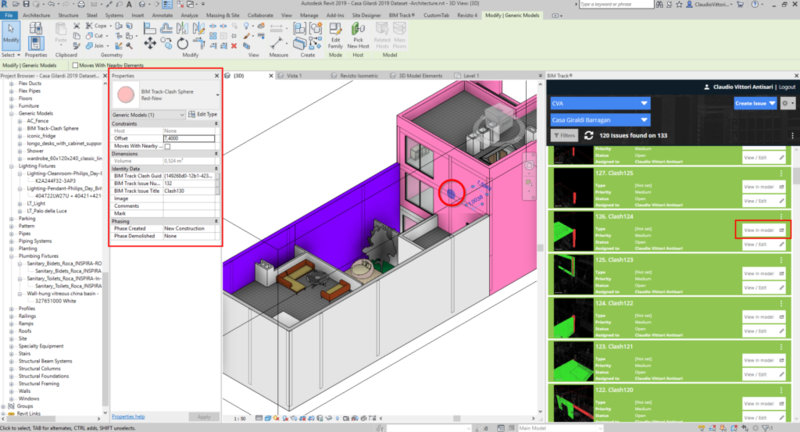 Another example is the workflow that turns Navisworks Clashes into issues. Here is one of the moments where the BIM Track features particularly shine at improving the efficiency of “traditional” BIM tools. Finding clashes in your models in important, but we all know that is less than half of the job. The most time consuming part is the proper communication of them to the relevant parties. I really like this feature for couple of reasons. The first one is BIM Track is able to read a lot of information directly from the clash detective tool, and update the issues accordingly with the Clash results and progression. This cuts a lot of potential double work in translating information from the clashes to the issues. Once you have uploaded your clashes in BIM Track, it is easy to find them and to manage them thanks to the view points and the pinpoints (the exact location of the clash). Usually, after spotting a clash in Navisworks, it is necessary to go back into Revit to fix it. Here is where another brilliant feature comes in: the Clash Spheres. If your issues are coming from clashes and you are working in Revit, once you click on “View in the Model”, BIM Track will place a generic model family in the project with the shape of a red sphere. This will make your clashes easy to find and track. 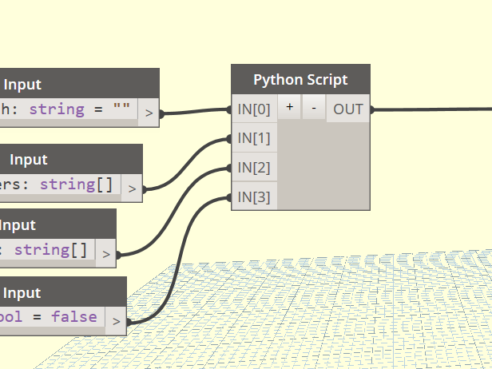 Since it is a Revit object, the Clash spheres can be used as a starting point with many workflows, even some including Dynamo. Wait a minute, am I saying that if I have 2000 clashes in my model BIM Track will add 2000 instances without my consent? Of course not, the spheres will be generated only after clicking on the clash in Revit, one by one, so don’t worry. With BIM Track, once you have spotted a problem, you will experience a great improvement both in the communication with other teams and in the localization of issues in different models. I can’t see coordination between models being easy without a tool like BIM Track. Solving issues is good but being able to track them, including reports on their status to your management, is great. Being able to track the number of issues and their status at any time is critical for the success of your project. However, we all know that reporting and measuring is something where we don’t want to dedicate too many hours every day, otherwise we will not have enough time to get our hands dirty in project problem-solving where our real value-add lies. The coordination report feature allows you to create a fully customized document that can be printed and shared in meetings, as well as emailed to the relevant consultants without much effort. Do you need to print out multiple reports, with each customized based on different needs? 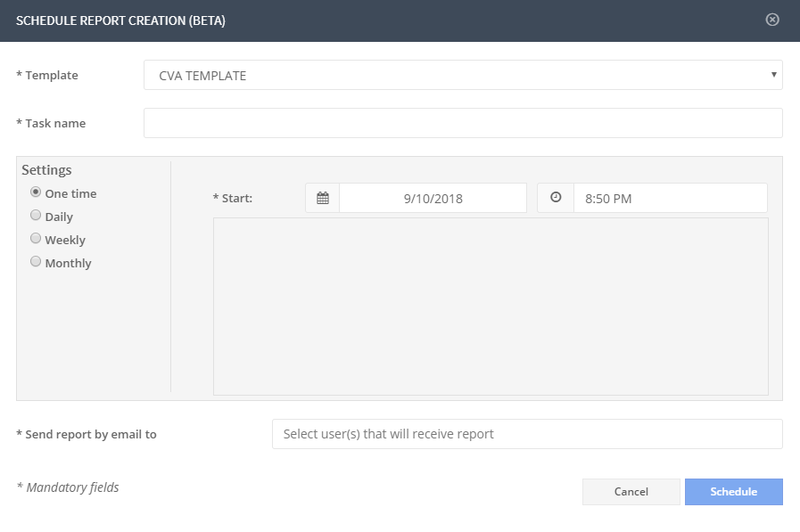 Don’t worry, you can create as many customized, reusable templates as you need and quickly create multiple reports. As I find myself repeating more often than I should, we all looking forward to the day we can all get rid of sheets. However,that day is not today and it is most probably not tomorrow, either. 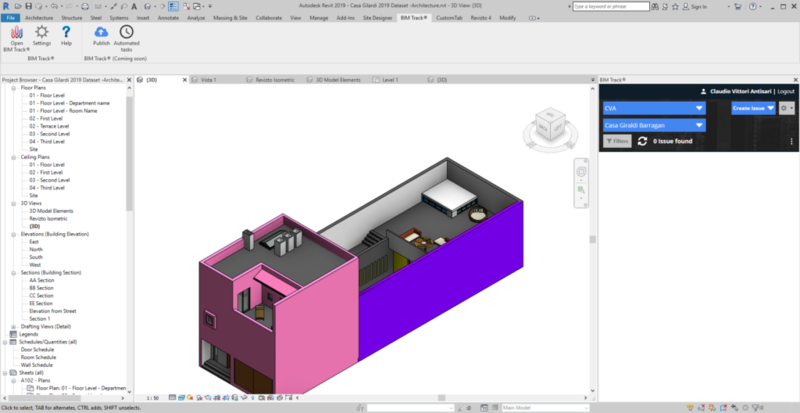 Sheets are still critical to deliver projects and we are still looking for technologies and workflow to bring their information into typical BIM workflows. 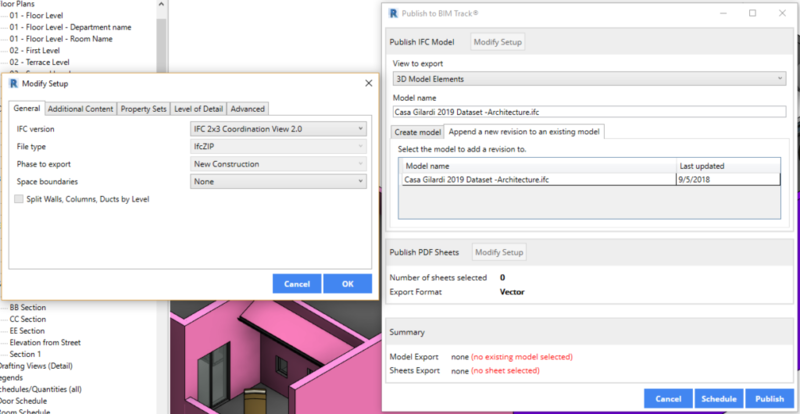 With the premium version, BIM Track allows you to upload sheets directly from Revit. There is also a feature that allows you to place them against the federated model. What if the sheets aren’t coming directly from the model? Don’t worry we can manage them too. 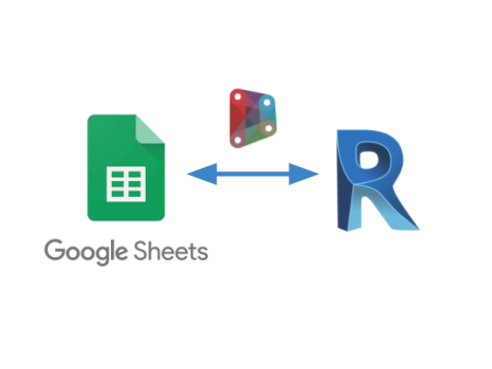 The fit sheet feature allows you to scale and easily rotate a sheet and to compare it against the model. In my tests, the automatic overlay wasn’t working at its’ best when applied to sheets with multiple views, since the switch between one view to the others wasn’t automatic, but you can always overcome this by manually dragging the sheets over the model and catching the right overlay. Thanks to the quick response from the team and their attention to feedback, I was able to point this issue out to them, and they told me it will be addressed soon. Automation is the cherry on top of the reporting feature. 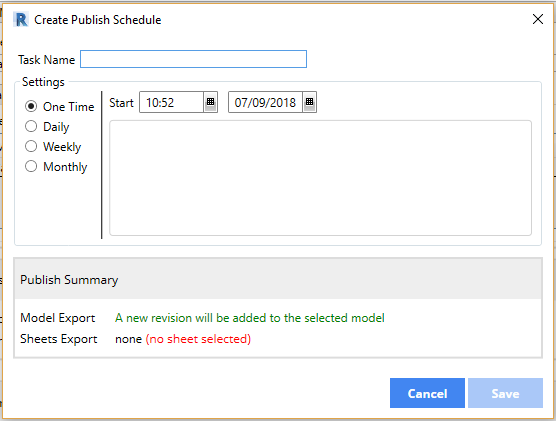 The possibility of scheduling reports can have a great impact in reducing the number of hours you have to dedicate to create reports to inform all the relevant parties about the project’s progression. I’m interested what can happen to this product if the developing team keep improving and broadening the automation of tasks in BIM Track. This is a feature I was waiting for BIM Track to come out with. Versioning is critical in any collaborative scenario. The possibility of going back in time and checking the evolution of your models and drawings is needed for most projects and I’m glad BIM Track is improving this product by adding this much-needed feature. Last but not least the premium feature that allows for the direct upload of the IFC models from Revit is a nice improvement in BIM Track. This feature is not a game changer but is a nice add to product and represents another shortcut that will save you some time. I like BIM Track. I’ve had to chance to use ti on several project and I can recommend it to anyone is working on collaborative BIM Projects. We use BIM to improve coordination in our projects and BIM Track is doing a great job in improving coordination and communication. I want to thank the BIM Track for their support in answering all my questions.